Do you want to enjoy clean teeth, healthy gums, and fresh breath at all times? You need a friendly and reliable dentist. Southlake, TX, patients can depend on Dr. Mason of Mason Dental to provide them with quality dental care in a friendly environment. Cosmetic Dentistry | Our quick and effective cosmetic dental services can transform your appearance overnight. Between our teeth whitening, CEREC crowns, and porcelain veneers, you can have a brand new smile. Schedule a consultation to talk with Dr. Mason, cosmetic dentist. Southlake, TX, patients can learn more about our the way our state-of-the-art cosmetic services can change your life. Dental Implants | For a replacement smile that looks and feels natural, you need to speak with a dental implants dentist. Southlake, TX, patients can talk with Dr. Mason about all of the benefits of dental implants. Implants can work for single tooth replacement or to anchor dentures. CEREC Crowns | At Mason Dental, we have the ability to place crowns in a single day. You can come in and tell Dr. Mason about your needs. If you have a tooth that is broken, worn down, or discolored, dental crowns could improve its appearance and strength. Dr. Mason can design your custom-made dental crown and then place it so that you can leave the office with a brighter, better smile. 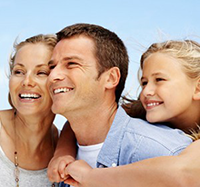 Sedation Dentistry | Sedation dentistry can make every dental procedure entirely anxiety-free. If visiting the dentist makes you nervous, we have the solution for you at Mason Dental. We provide a few types of sedation dentistry that will make you feel happy and relaxed during your appointments. Why not start improving your smile today? You can rely on Dr. Mason, a nearby cosmetic and general dentist. Southlake, TX, residents will love the feel of our office–and of course–their new and improved smiles.